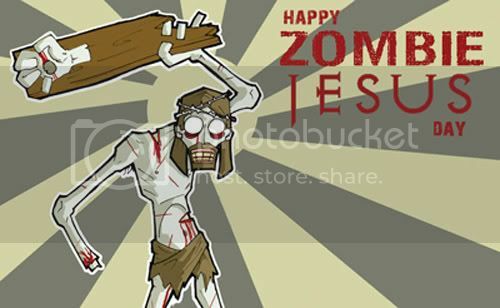 kateebot -- the cutest android: HAPPY ZOMBIE JESUS DAY! I'm off to straighten my hair and put my laundry in the dryer before skimming my Anthro books. Next post will be after the Cherry Blossom Festival up in Washington D.C. next Saturday, maybe accompanied with pictures, who knows. Kthnxbai.